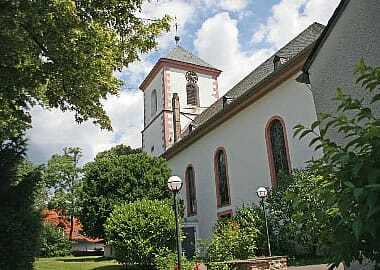 The wine-growing community of Wicker is the gate of the Rheingau region; with its original wine-tasting booth in the town center it simbolizes the "Gate of the Rheingau". The "Wicker Wine Way" with his historical information starts here, as well as the "Rheingauer Riesling Pathway" and the "Rheingauer Riesling Route". You can purchase the tasty Wicker wine in any of its different wineries and restaurants that allow you to get enough amounts of its good-quality wine to build your own supply at home. Wicker has 3.500 inhabitants and its 40-hectare area grows basically riesling and pinot-noir wines. Almost all wine companies are run by winegrowers who also take care of the vineyards and cellars. The most important festivity is the Wickerer wine festival celebrated every year on the first weekend in August.